I was not really sure what to expect from an ‘opera in concert’. It turns out that it meant stripping the opera of elaborate costumes and removing essentially all scenery as the characters acted around the orchestra. Thus this ‘opera in concert’ allowed the music to take centre stage and thereby gave it the space and attention required to create a heart-wrenching experience. 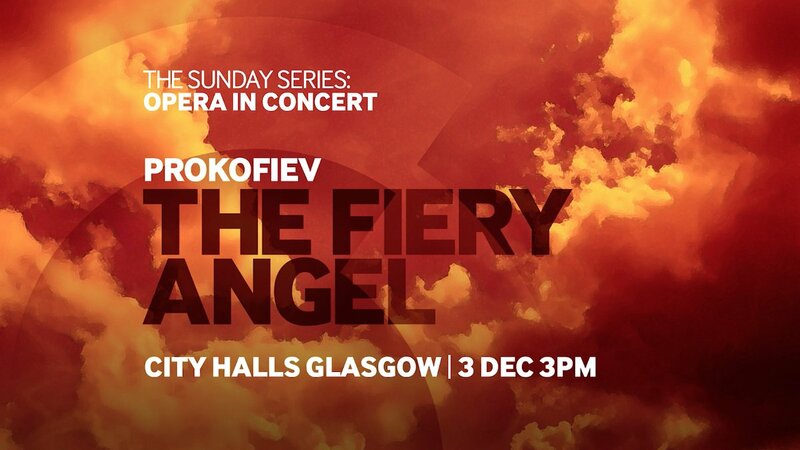 Rarely have I experienced a performance so intense and literally breathtaking as this rendering of Prokofiev’s ‘The Fiery Angel’. Thanks to the incredible work of the collaboration between the Scottish Opera, The Royal Conservatoire of Scotland and various guest artists, the opera came to life relying solely on the talent of the musicians. What really struck me was that by removing all of the usual ornamental aspects of performance, it gave the musicians and singers the opportunity to reveal the raw emotion and passion that lurks within this opera. Clearly, this relied on the immense talent within the group. Especially remarkable was Renata, played by Svetlana Sozdateleva: her dramatic performance dragged me with her through her deeply confused and desperate quest for purity. She managed to capture the multitude of emotional states that violently swept through her character, going from enamoured to despairing or lucid to raving within a few seconds. Not only did this ‘opera in concert’ depend on the impressive singers, but also the orchestra itself. It was vital in creating the palpable tension within the performance space that seeped into the audience and carried the plot. A memorable scene from the third act springs to mind: the duel between Ruprecht and Heinrich is revealed through music alone, as the stage is empty bar the orchestra. The harrowing tale of this dark opera filled with demons, black magic, exorcists and very real human characters is demanding in any shape it takes. Yet this ‘opera in concert’ was so emotionally raw that I left Glasgow City Halls completely emotionally drained.